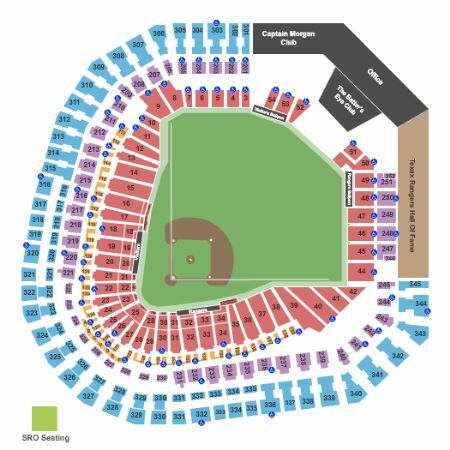 Texas Rangers vs. Pittsburgh Pirates Tickets - 4/30/2019 - Globe Life Park in Arlington at Stub.com! Fourth row in this section. Tickets will be ready for delivery by Apr 28, 2019. First row in this section. Tickets will be ready for delivery by Apr 28, 2019. Mobile Entry Tickets. Must have smart device on hand to enter event. Do not print these tickets. Aisle seats. Tickets will be ready for delivery by Apr 26, 2019.
eTicket, Parking Pass only, no admission to event.Free shuttle provided to event. - large grass area available to set up tents, grills, games etc.Indoor bathrooms on site. PARKING PASS ONLY: DOES NOT INCLUDE ADMISSION TO EVENT. Fifth row in this section. Tickets will be ready for delivery by Apr 28, 2019. First row in this section. XFER Mobile Entry. Scan your tickets from your mobile phone for this event. Do not print these tickets.